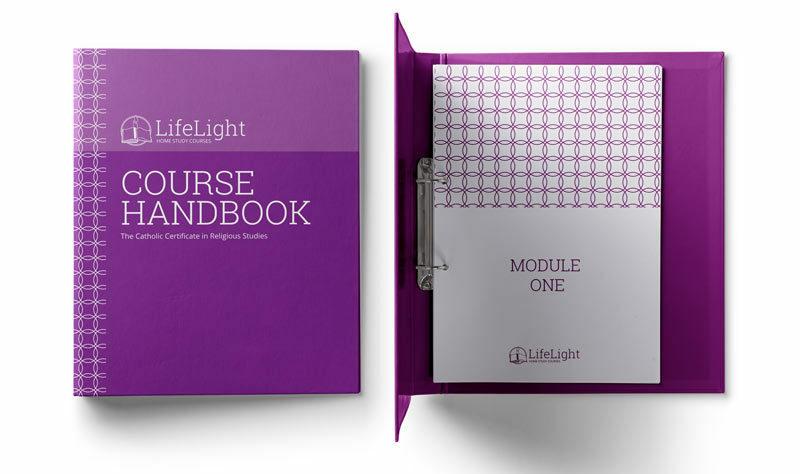 Life Light have been running a successful home study business for many years but their look needed a refresh to help attract a wider audience. 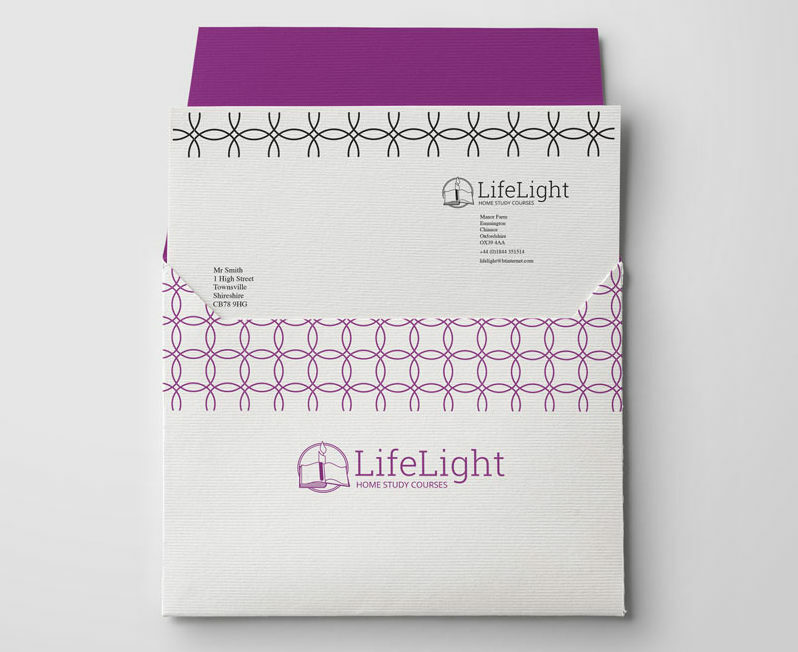 As the team were on a tight budget we recommended one of our Micro-Branding packages where we created a simple branding sheet showing the refreshed logo, colour palette and patterns – all the ingredients for the new brand. 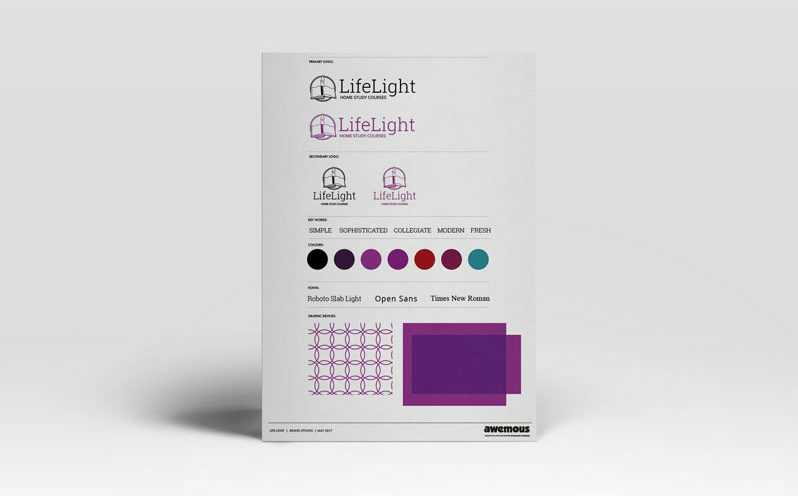 We also provided example layouts for various items that could be produced in Word by the Life Light team, again keeping costs low while ensuring the brand was dealt with as consistently as possible. We designed artwork for a Course Handbook folder and the cover of a prospectus and created a small brand book containing type guides and colour references.